The Big Show stayed true to its name with big booths, big speakers and big ideas. We left feeling inspired and optimistic about the future, but also reassured. 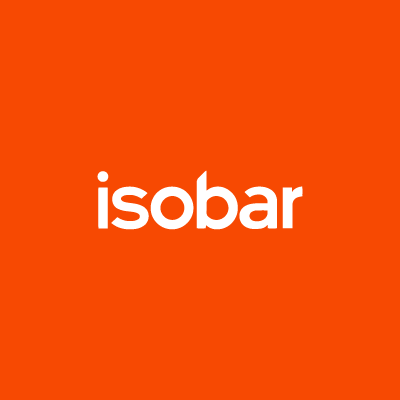 Experience is at the heart and core of everything Isobar does and the industry and consumers are continuing to also make experience a priority. But, if you weren’t able to make it to retail’s biggest event, we’re here to help. 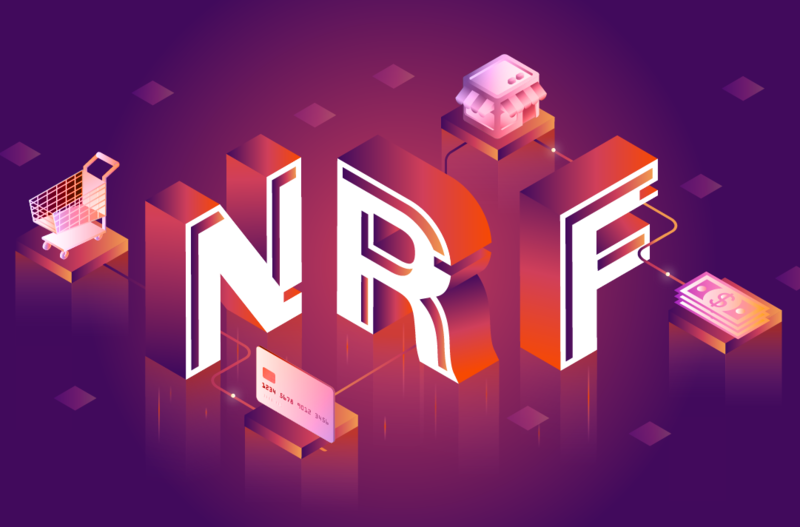 Our on-the-ground team shares their biggest takeaways, highlights and favorite moment from NRF. As expected, the global technology players dominated the Expo Center with impressive booths, demos and executive, sales and marketing staff coverage. Salesforce, Adobe, SAP, Microsoft, Oracle, and many others, attended in force, amplifying the importance of digital in the evolution/revolution of the retail experience. Complementing the big tech players was a wide array of additional digital ecosystem and retail partners that are pivotal in driving innovation into the retail segment. And yes…some of Isobar’s competitors were there too from the consultancies to offshore firms to global and boutique digital agencies. The number of retail brands that attended was noticeable. Overall, attendance was up around ~22+% this year and it was obvious that the vibe was different from last year. From Global Brands such as Walmart, Target, and Macy’s, to boutique brands — they all invested in NRF to actively learn, observe, network and ultimately takeaway ideas to help drive their business forward in the hyper-competitive retail market. Dominant topics and themes included ML/AI, Advanced Analytics, Endless Inventory, Omni-channel, In Store Experiences and Digital Transformation — these topics were reinforced throughout the conference from speaker sessions to expo halls demos to the analyst coverage. From my perspective, brands are all actively assessing what these trends really mean to their business — which are hype? Which have the potential to drive significant business results? Learning that Salesforce invited us to present the Zwilling story at their Customer Success Theater (so, actually a pre-show favorite moment). Why? 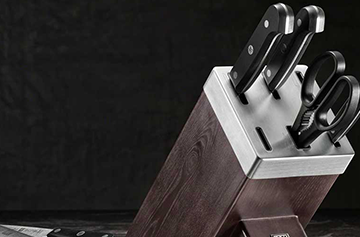 Because many Isobar team members have worked hard over the past two years to grow this partnership — and even more worked on an amazing transformation project with the Zwilling client. To be recognized for these efforts and given the opportunity to share this story at NRF, in the Salesforce booth, is awesome! Bonus Favorite Moment: While standing at one of our strategic partners expo hall booth, Patrick Deloy from Isobar Commerce APAC and I observed that three of the four clients being showcased were Isobar Global clients — 75% coverage is not bad! After three days of conference grind, it is clear that the technology to bring digital into retail spaces has finally reached a tipping point in terms of maturity. A set of critical technologies is now ready to be scaled and accelerate retail’s transformation into digital. A few that had a particularly strong presence in the conference were physical store analytics, face recognition, AR, display technology, connected devices (from produce scales to magic mirrors to POS devices), and of course AI, and data platforms. As a consequence Omnichannel Retail is changing its meaning from what it was essentially a service proposition (BOPIS, BORIS, etc.) that made the online and physical stores experiences easier to navigate to a seamless Brand Experience that makes no differentiation into online and offline. It’s like when in the past we talked about “going online to check email” whereas now the internet is just part of our lives and we don’t even think about whether we’re online or not because we always are. Omnichannel retail is still in the dial-up phase but the technology has just reached a pivotal maturity level in the same way breakthroughs in cellular and touch screen technologies enabled our current digital lifestyle. FAVORITE MOMENT: It may sound silly but I love to meet up with colleagues from around the world who congregate at NRF. It makes the world feel smaller and friendlier. It amazes me how NRF continues to grow. It doesn’t feel like it can get any bigger. The usual trends are still top of mind for retailers (AI/Data, loT, Omin-channel, Mobile, AR/VR, etc. ), but I was struck by the recurring theme of “don’t mess up the basics.” It’s easy to get distracted by all the shiny objects and there are certainly a lot of them at NRF, but over and over again, retailers and analysts talked about winning the details. During the event, I heard the phrase “retail is detail.” I loved it! I’m hooked. There are so many points in the customer journey to surprise and delight customers, and with the landscape becoming increasingly competitive, you can’t afford to fall down on the basics. FAVORITE MOMENT: I am a HUGE fan of The Girls’ Lounge, powered by The Female Quotient. They continue to creates experiential pop-ups at global conferences, “where women connect, collaborate and activate change together.” Having a space to network with female leaders in our industry and discuss issues and ideas unique to us is wonderful. I attended my first NRF 14 years ago. I could have really used a space like that. I’m proud of how far we’ve come. As you can tell, the Big Show continues to prove itself as one of the most important events of the year. The team is energized and ready to take these trends/takeaways into 2019. Check back in with us to find out what we’re launching next!